and..whatever you'd like to embellish the top of your bracelet holder with, I made flowers out of fabric scraps and pearl beads. 1. 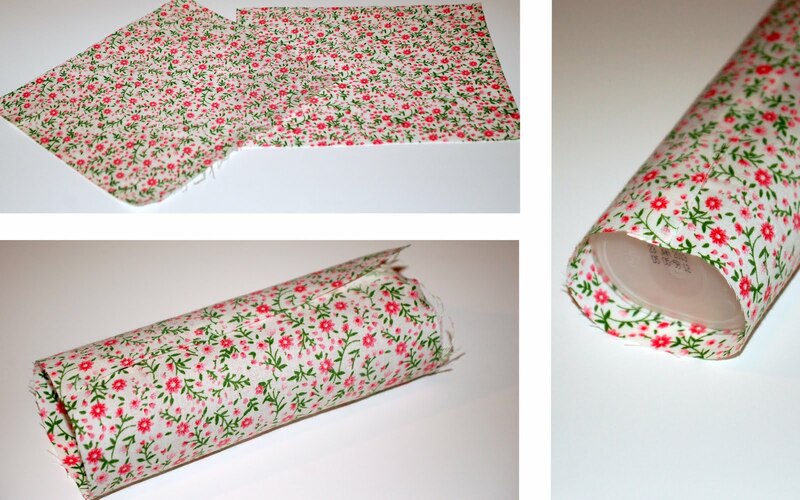 Cut out your fabric strips so that they can wrap entirely around your container with a little bit excess to overlap and with a little bit excess on the ends. 2. 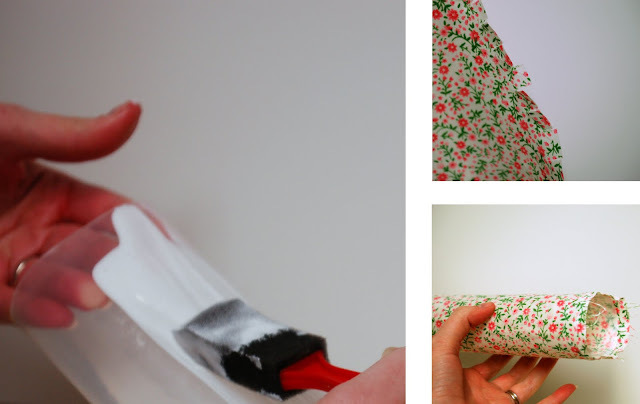 Cut little slits in the fabric along the ends that will hang off the edge of the container (this will make mod podging down the edges easier). 3. Spread mod podge on your container and lay on fabric, smoothing out wrinkles as you go. 4. Tuck the fabric ends up in the open end and smooth the ends over the closed end. 5. Snap back on plastic lid (I ended up using this end as the bracelet holder base, I felt it was a little more sturdy). 6. Smooth another layer of mod podge onto the container, over the fabric. 7. 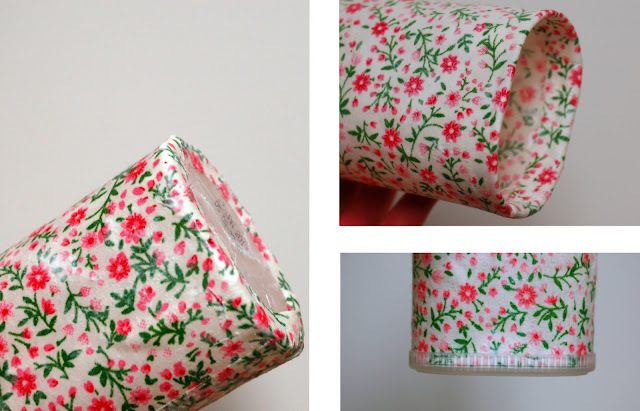 Let dry (mod podge will dry clear and it kind of made my fabric slightly translucent, kind of pretty, I think). 8. 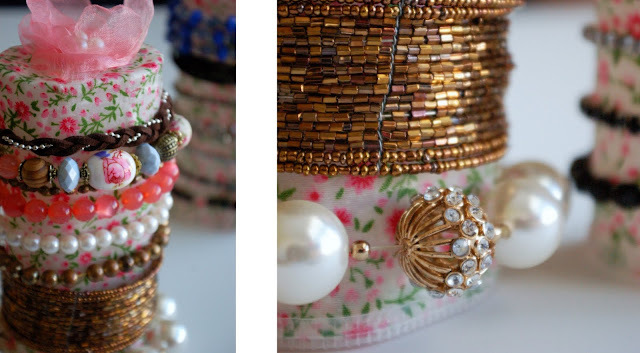 Make your embellishments (if you want to embellish the top of your bracelet holder). 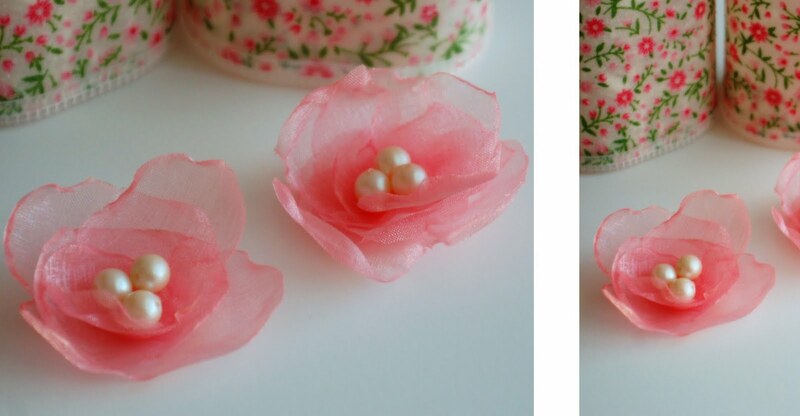 I made these little flowers out of fabric scraps and some pearl beads. 9. Place embellishments on top of your bracelet holder (I used a hot glue gun). Then...pile on your pretty bracelets on to your one-of-a-kind bracelet holder and admire! Ah, and it's so much more organized!! !